It wasn’t so very long ago that cigarettes were the only products, other than harmful chemicals of course, that came with warning labels attached. It now seems that they are everywhere thanks in large part to a health conscious group of folks that want everyone to be aware of what they put in their bodies. While not necessarily considered health warnings, calorie counts have become very common on food packaging, letting the consumer know just how many calories they will be ingesting when they drink that soda or eat that pack of chips. The feeling has always been that people don’t really pay attention to what is printed on those labels, so there is now a movement on to make sure that everyone gets to see that calorie number up close and personal. McDonald’s recently announced that they would be putting calorie counts beside every item on their menu, as a way of keeping the consumer informed as to just what they are eating. It sounds like a fair enough idea, but you have to wonder just how much attention people are really paying to those numbers on the menu, as the addition of them hasn’t really done much to halt the sales of Big Macs. Coca-Cola are the latest to join the calorie counting craze, having recently announced that their latest vending machines will come with the number clearly displayed on the selection button. This is a forward thinking move by Coke, who many believe are trying to stay ahead of the new regulations that are expected to appear next year. Although not yet full ironed out, it’s believed that the new regulations will require restaurants and vending machines to display calorie counts for every item that they serve. In addition to the calorie counts being displayed on the labels and the coke cans themselves, the coke vending machines are also expected to have stickers that will encourage consumers to check the number before they buy. Rather than taking the negative side of this decision, Coke has actually welcomed the move, stating that they like giving their customers more choice. 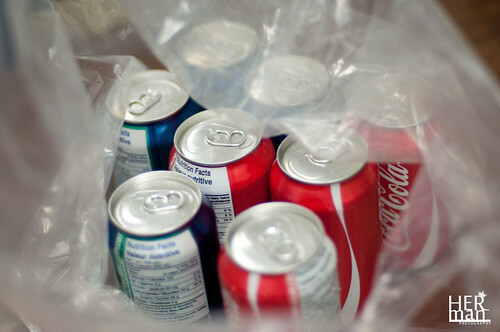 it’s their belief that folks will still buy Coke products, but may instead try something a little different as opposed to just sticking with the same soda that they choose every time. It seems as though vending machines and fast food chains have come under fire more than ever in recent months, but that has done nothing to stop people from using both. If you are someone that was interested in perhaps starting your own vending machine business, this is not news that should make you question that decision. Coke is very much on board with these changes and is delivering the new machines to prove it. If they really believed that the vending machine business was in any danger, do you really believe they would continue to produce machines? The answer is no, because they are well aware that the vending machine industry is one that continues to expand and pull in huge dollars each and every year.